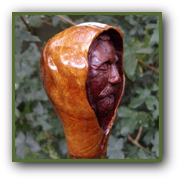 I'll then email you back with a PayPal link for payment and when that's complete I'll send you an electronic copy of the gift card and send you the gift card proper in the post. 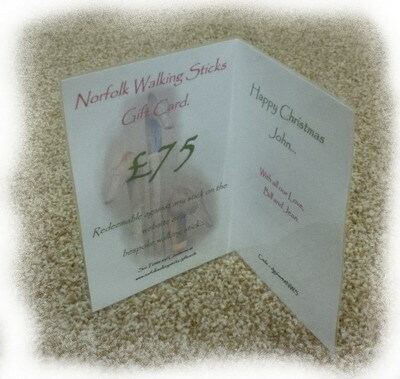 This is a folded A6 laminated booklet with the Norfolk Walking Sticks logo and details on front and back. Inside there's the value of the gift card and the message if you've chosen to have one.